Registered business address: Carretera Fuertes, nº 4, CP.- 15.011, A Coruña, SPAIN. Where appropriate, the personal data requested shall be limited solely to those that are strictly necessary in order to identify and process the request made by the holder thereof, hereinafter the interested party. Said information shall be processed in a loyal, lawful and transparent manner in relation to the interested party. Likewise, the personal data shall be collected for explicit and legitimate ends and shall not be processed in a manner that is not compatible with these purposes at any later time. The specific purposes for which each processing operation is carried out are specified in the information clauses included in each of the data collection means (online forms, paper forms, verbal announcements or posters and notices). Notwithstanding the above, data of a personal nature shall be processed for the sole purpose of providing an effective response to and dealing with the requests and enquiries made by users, specified next to the option, service, form or data collection method used by the data holder. As a general rule, and prior to processing any personal data, Compañía de Tranvías de A Coruña obtains the specific and unequivocal consent of the data owners by including informed consent clauses in the various data collection systems. Notwithstanding the above, in the event that the consent of the interested party is not required, the legal basis on which Compañía de Tranvías de A Coruña may act is the existence of a law or specific regulation authorising or requiring the processing of the interested party’s data. As a general rule, Compañía de Tranvías de A Coruña shall not communicate or transfer the data to third parties unless legally required to do so. Notwithstanding the above, should it prove necessary, the interested party shall be duly informed of any such communication or transfer by means of the informed consent forms included in the various personal data collection methods. As a general rule, personal data are always collected directly from the interested party. Notwithstanding the above, under certain exceptions, data may be collected via third parties, organisations or services other than the interested party. Should this occur, the interested party shall be duly informed via the informed consent clauses included in the various data collection methods and within a reasonable time period following the collection thereof, which under no circumstances shall exceed one month. In relation to the browser data that may be processed via the website, if data subject to the regulations are collected, you are advised to consult the Cookies Policy posted on our website. – Right of access: the right to obtain information as to whether their data are being processed, the purpose of any such processing, the data categories included, the recipients or recipient categories, conservation periods and the origin of said data. – Right of rectification: the right to rectification of inexact or incomplete personal data. When the data have been obtained by virtue of an information society service in accordance with the provisions of article 8, section 1 of the EU General Data Protection Regulation. – Right of opposition: the right to oppose specific processing based on the consent of the interested party. When the interested party impugns the accuracy of the personal data within a period that enables the company to determine their accuracy. In the event of unlawful processing and opposition by the interested party to the suppression of the corresponding data. When the company no longer requires the data for the purpose for which they were collected, but are required by the interested party in order to present, exercise or defend a claim. When the interested party has opposed processing whilst it is determined whether the company’s legitimate motives prevail over those of the interested party. Interested parties may exercise the aforementioned rights by writing to the Compañía de Tranvías de A Coruña at lopd@tranviascoruna.com, stating on the subject line the right they wish to exercise. In this sense, Compañía de Tranvías de A Coruña shall deal with the request at the earliest possible opportunity, taking into consideration the periods stipulated in data protection regulations. Furthermore, it must be remembered that interested parties or data owners may file a claim before the corresponding authorities at any time. The security measures adopted by Compañía de Tranvías de A Coruña comply with legal requirements, pursuant to the provisions of article 32 of the GDPR. 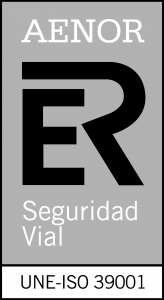 In this sense, Compañía de Tranvías de A Coruña, considering prior art, application costs and the nature, scope, context and purposes of processing, as well as the variable risks of likelihood and gravity for the rights and liberties of natural persons, has implemented suitable technical and organisational measures in order to guarantee correct level of security in line with the degree of risk. a) Guarantee the ongoing confidentiality, integrity, availability and resilience of the processing services and systems. b) Restore availability and access to personal data rapidly in the event of a physical or technical incident. c) Regularly check, assess and consider the efficiency of the technical and organisational measures implemented in order to guarantee secure processing. d) Pseudonomise and encrypt personal data, as and when appropriate.